James Gambier was born on October 13, 1756 on the island of New Providence in the Bahamas, son of John Gambier, lieutenant-governor of the Bahamas. He joined the Royal Navy at age eleven on the Yarmouth, commanded by his uncle. In 1777 he was promoted lieutenant, and in 1778 post-captain. From 1785 to 1801 he was a Lord of the Admiralty. In 1795 he became rear-admiral, and in 1799 he was promoted vice-admiral. In 1802, Gambier was appointed governor and commander-in-chief of Newfoundland. A notably pious and moral man, Gambier assisted schools and charities, and encouraged the clergy. When William Cull brought a Beothuk woman to St. John's, Gambier ordered that she be well treated. Recognising that Newfoundland was changing, and that a substantial permanent population was becoming established, Gambier leased land for livestock grazing, and recommended that shore properties not being used by British fishermen should be leased to local inhabitants, providing them with security and the local government with some revenue. Gambier also pressed for permanent officials to be stationed on the island, and argued for a local legislature. In 1803 the war resumed, and Gambier became preoccupied with the island's defense. He authorized Brigadier-General John Skerritt to recruit 1,000 men to supplement the small garrison, but this proved virtually impossible since recruiting was forbidden during the fishing season. 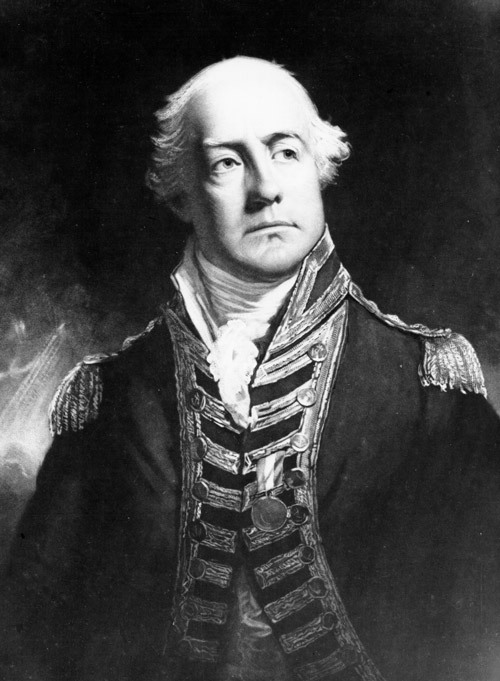 Gambier's term ended in May 1804, and he returned to the Admiralty. He became admiral of the blue in 1805 and was created a baron in 1807. In 1815 he became a knight Grand Cross of the Order of Bath, and Admiral of the Fleet on July 22, 1830. He died at Ivor House in Buckinghamshire, England on April 19, 1833.